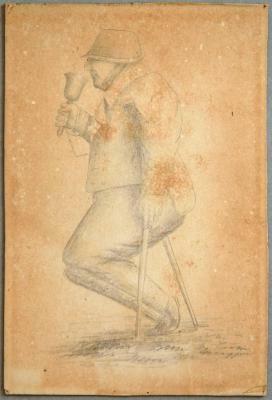 Pencil sketch of Newport's town crier, John Allen. 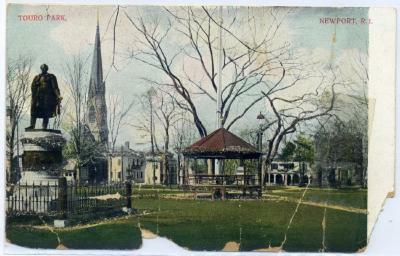 Man is using crutches and ringing a bell. 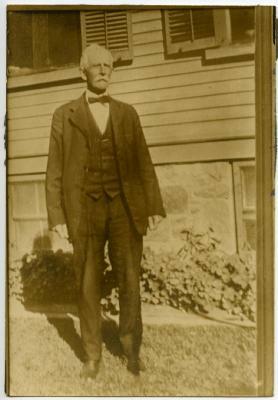 Allen died June 6, 1846 at the age of 67. 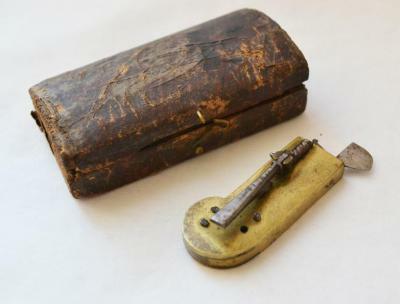 (a) 19th century brass spring lancet used for bloodletting. 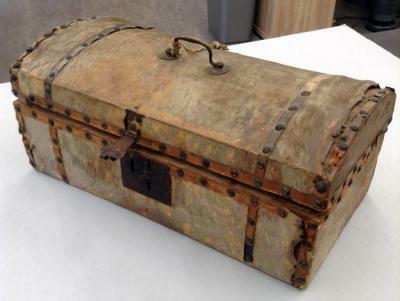 (b) Wooden case with latch for lancet. 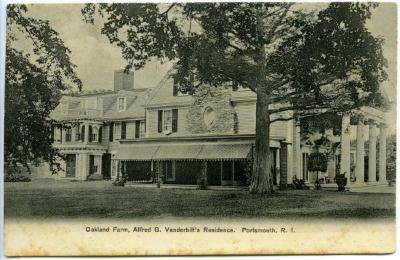 A postcard depicting the main house at Oakland Farm. 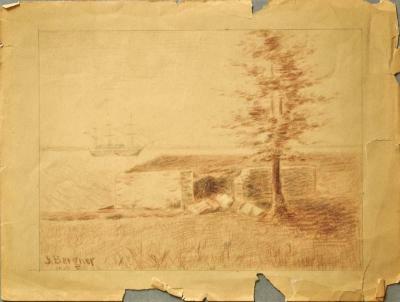 Caption along bottom edge reads: "Oakland Farm, Alfred G. Vanderbilt's Residence, Portsmouth, R.I."
Pencil sketch in brown of small structure next to a tree. 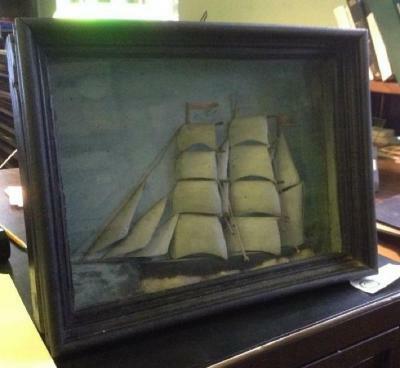 A three mast ship sails in the background. 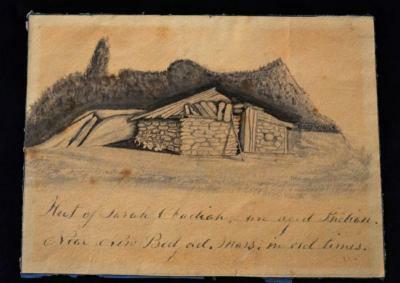 Very loose pencil strokes with detail only depicted in the boat. 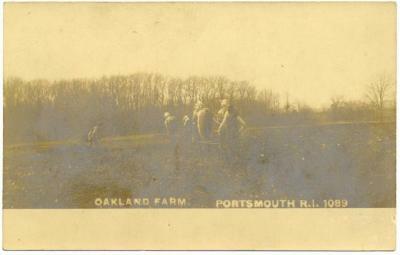 A photographic postcard depicting farmworkers and horses working in an open field at Oakland Farm, Portsmouth. 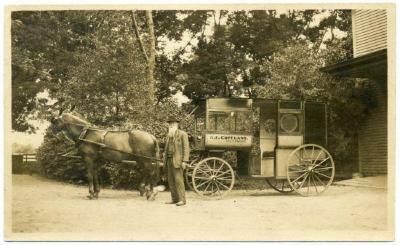 Caption on image reads: "OAKLAND FARM PORTSMOUTH R.I. 1089". 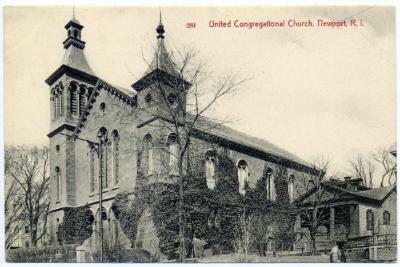 A postcard depicting the United Congregational Church, located on Spring Street. 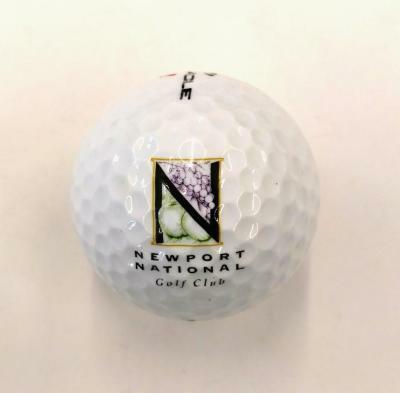 Golf ball with three sets of images printed on the surface. 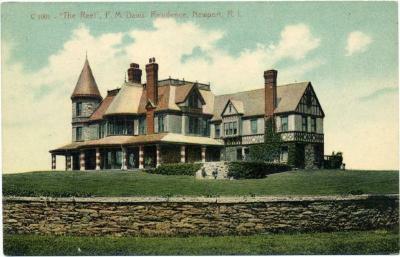 "Pinnacle 3" appears twice and the insignia Newport National Golf Club. 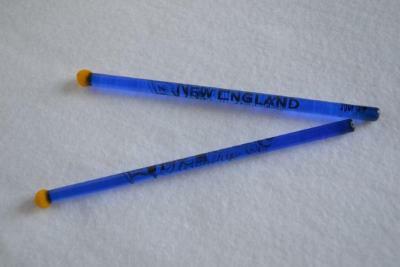 A blue glass swizzle stick with a yellow ball at top. 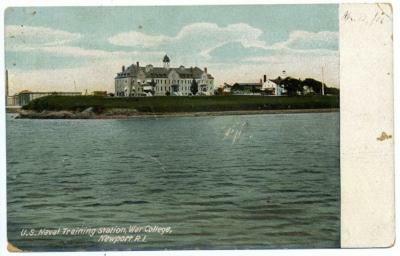 Along the stem reads, "New England Steamship Co. 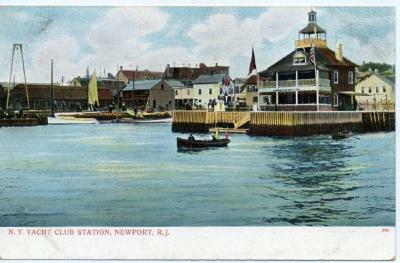 Serving All New England" and features a flag printed with "NE". 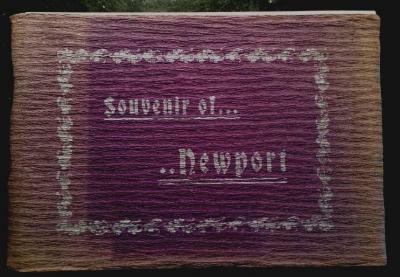 Identical to 2006.13.3. 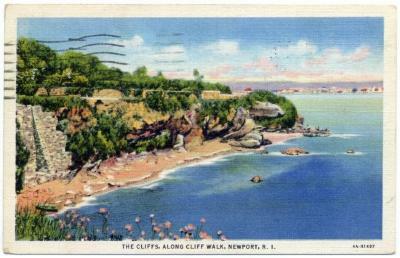 A linen-type postcard depicting a view from the Cliff Walk. 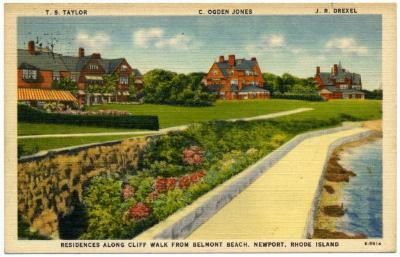 Caption reads: "THE CLIFFS, ALONG THE CLIFF WALK, NEWPORT, R.I." The reverse has a handwritten message and is postmarked July 7, 1936. 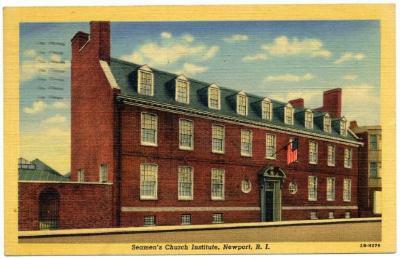 Linen-type postcard featuring the Seamen's Church Institute. 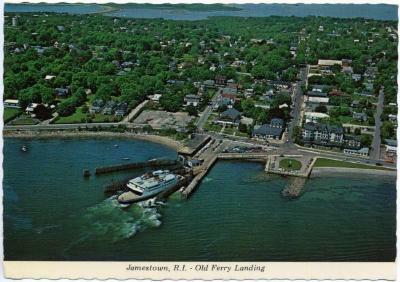 Reverse has a handwritten note and is postmarked, April 28, 1949. 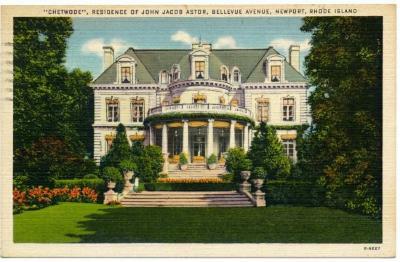 A linen-type postcard of Chetwode, the "Residence of John Jacob Astor." 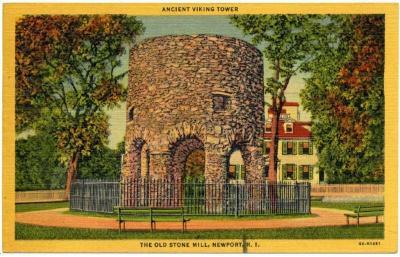 Reverse is postmarked April 28, 1949. 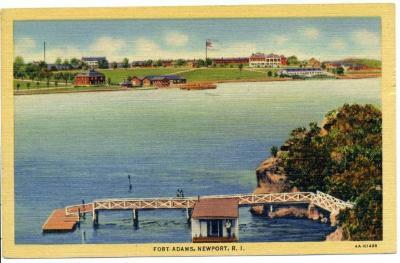 Postcard featuring a view of the U.S. 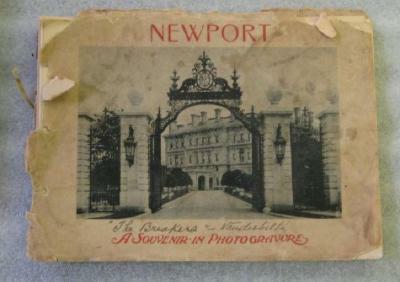 Naval Training Station from Newport Harbor. 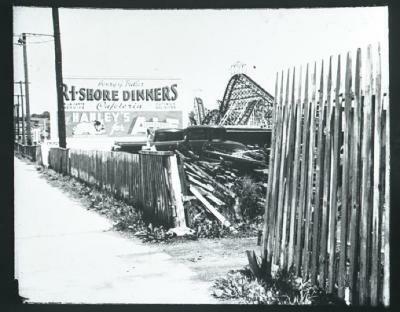 The date "Apr 12/06" is written in pen at top right. 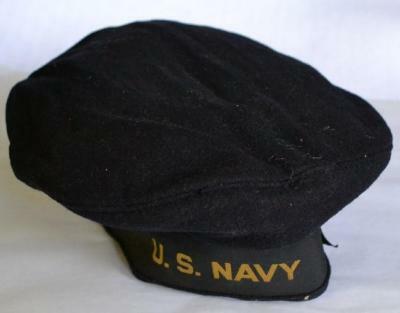 Infant's cap with wadded hood. 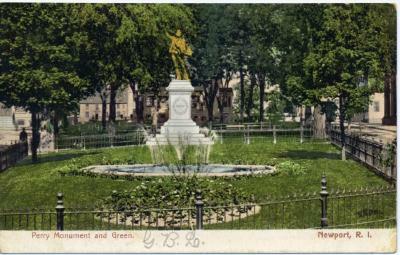 Green silk like that used in caleches. 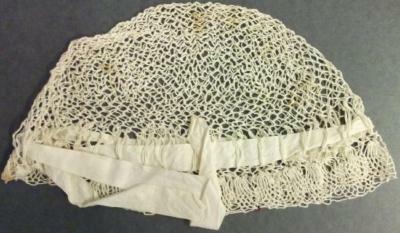 Trout ruffle also similiar.